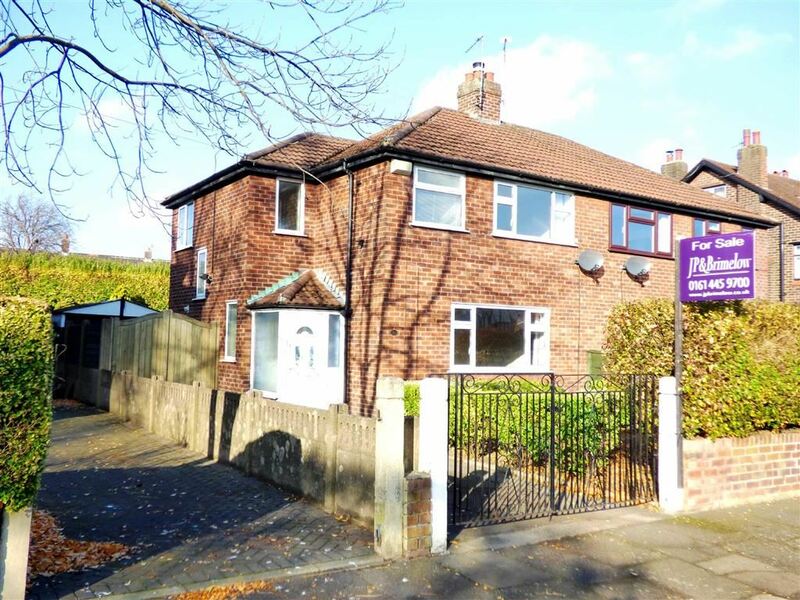 Enter the property, via a modern, Upvc double glazed porch with frosted windows to front and side, matching door with windows inset and lo level brick wall to side. 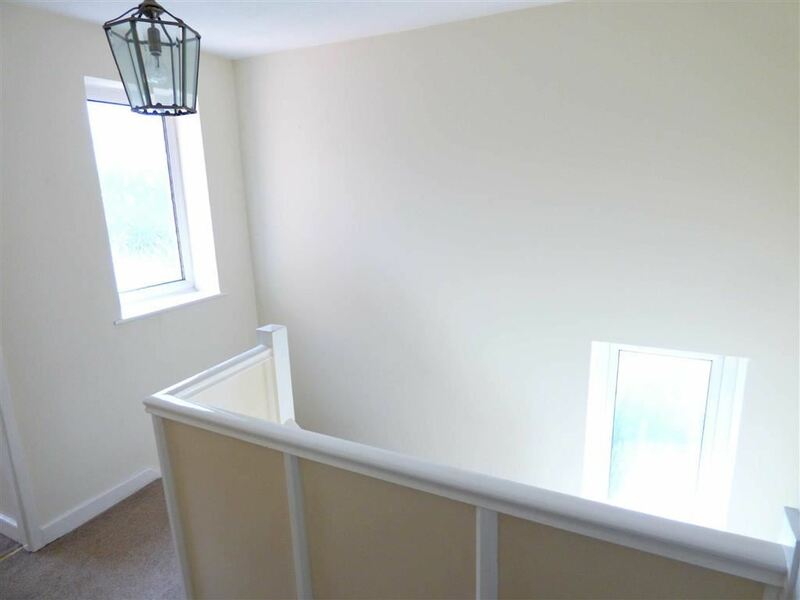 A further Upvc door, with inset, frosted double glazed windows. 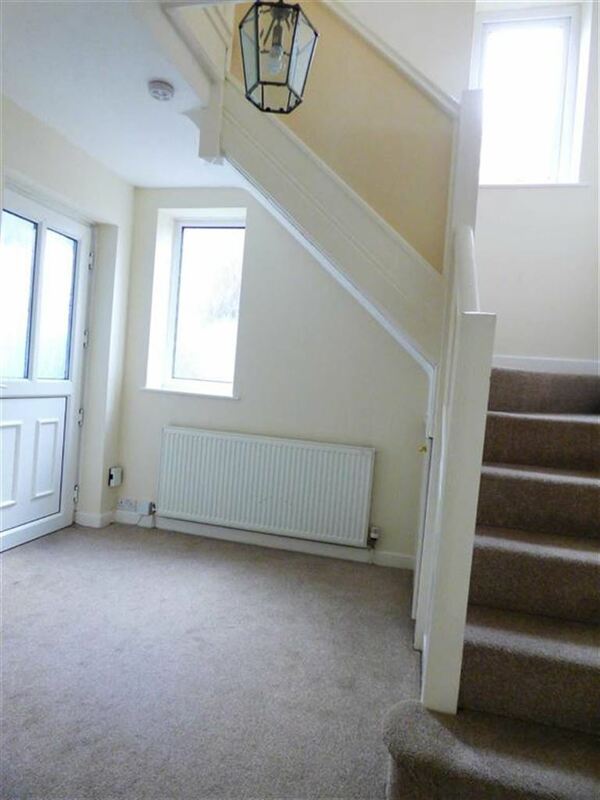 Beige carpet continues up the stairs, there is a radiator, frosted double glazed window and two internal doors giving access to the front reception room and the large kitchen. 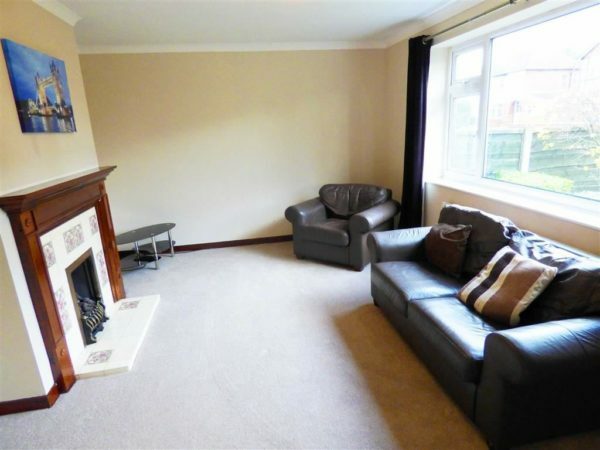 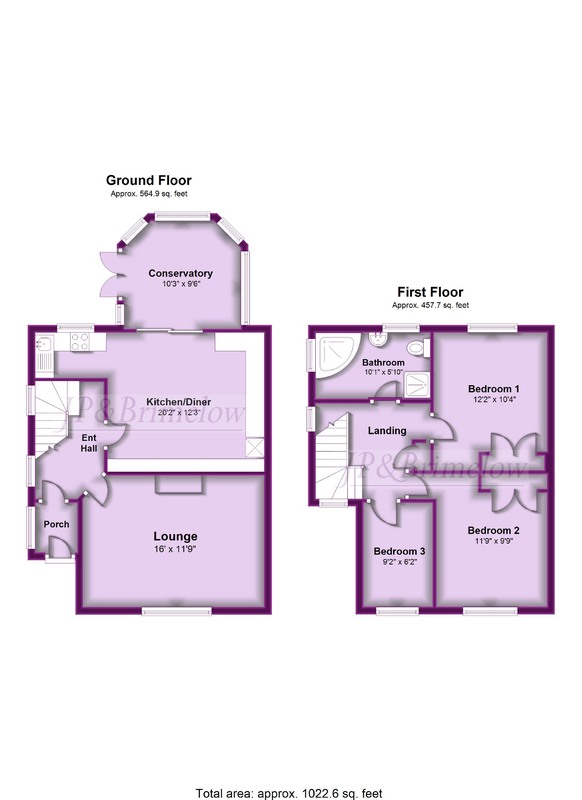 A spacious front reception room, with large Upvc double glazed window, and tiled fireplace, with wooden mantle piece. 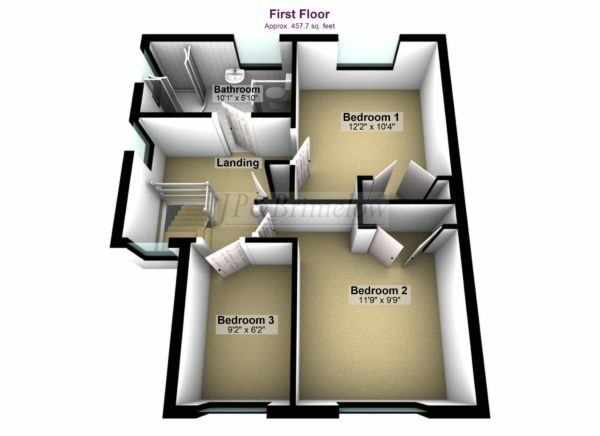 With beige carpet and neat, neutral decor. A large fitted kitchen with a collection of cream coloured base and eye level units, with charcoal coloured, roll edge work surface, similar dark floor tiles and mosaic splash back wall tiles. 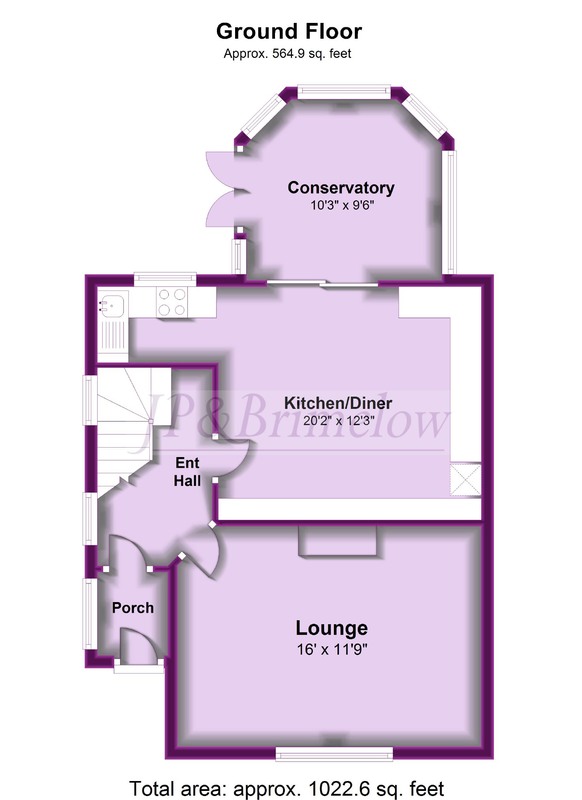 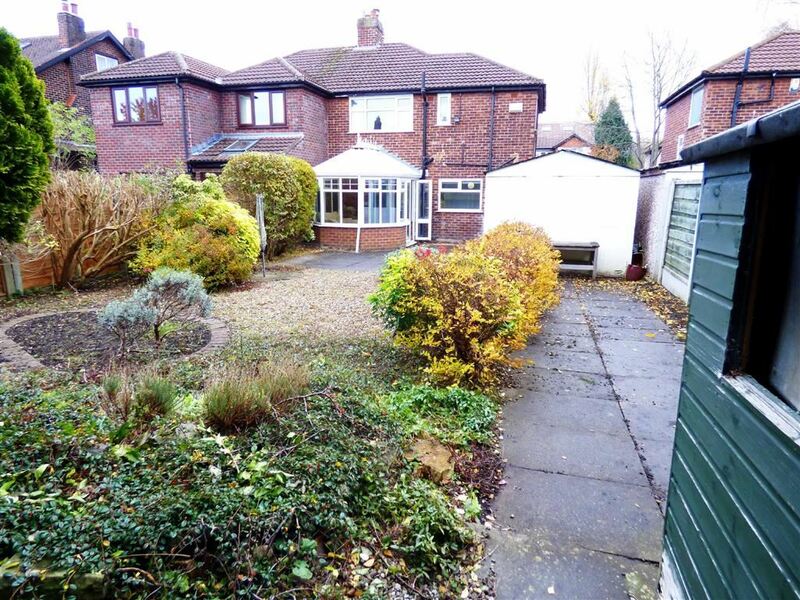 There is a rear window with garden aspect and French doors into the conservatory. 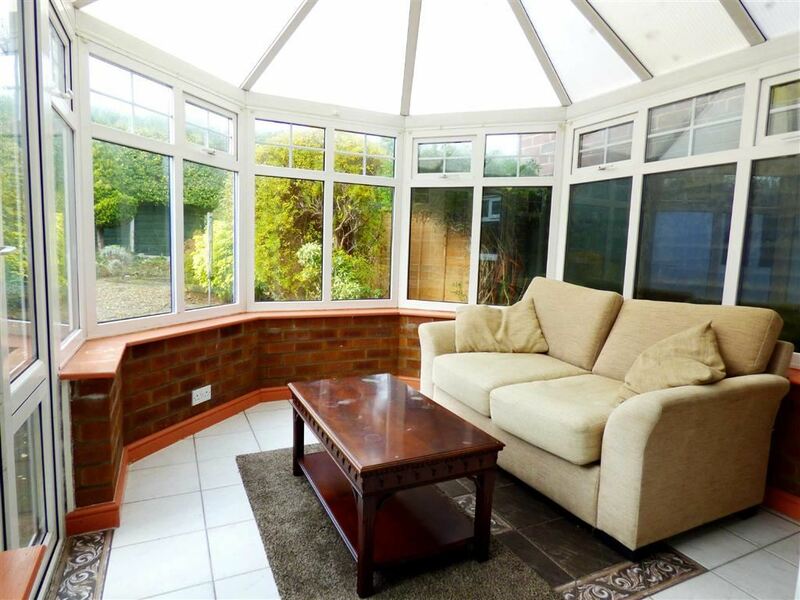 A modern, Upvc double glazed conservatory, with impressive garden views. 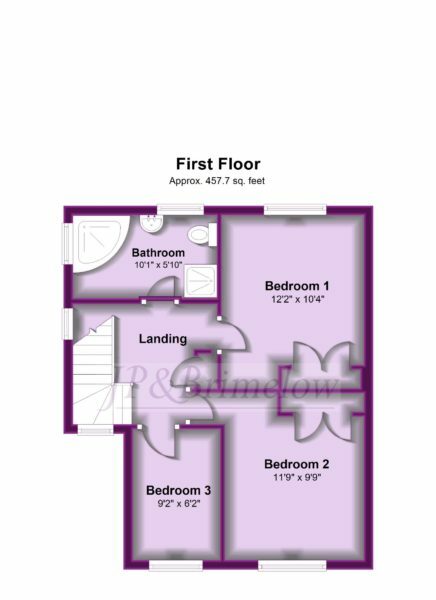 This space offers a light and airy second reception space. 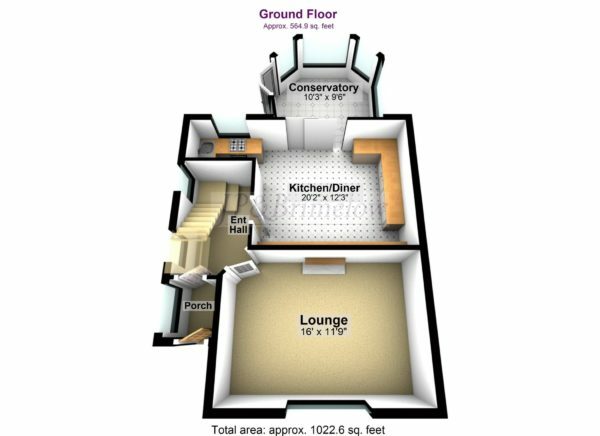 With Upvc double glazed windows, midway and at the top of the stairs, a light space, with beige carpets, neat neutral decor and internal doors to three bedrooms, plus the family bathroom. 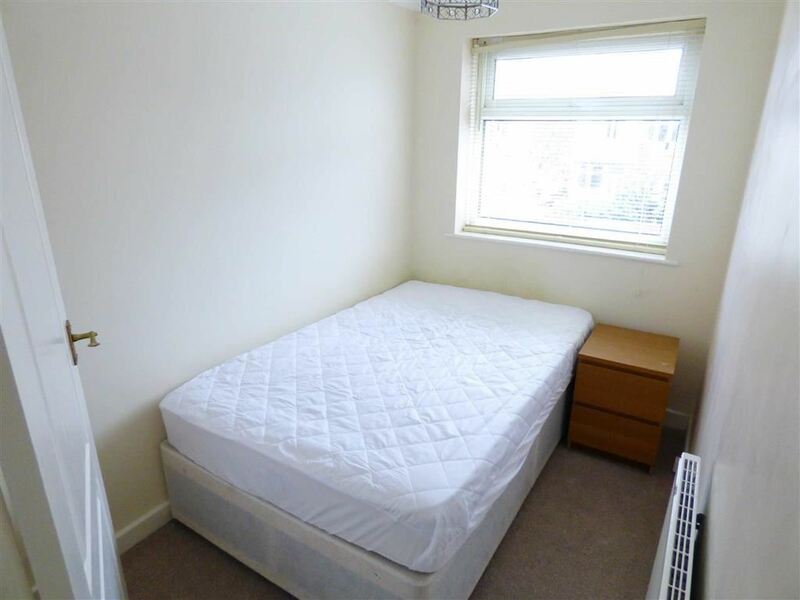 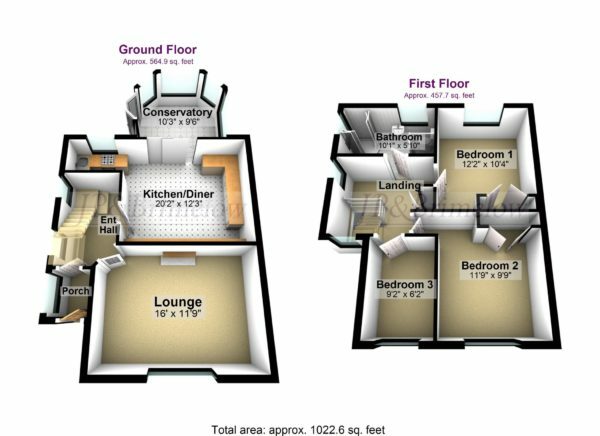 A double bedroom, with a large Upvc double glazed window giving west-facing, garden views, fitted double wardrobe, beige carpet and neat neutral decor. 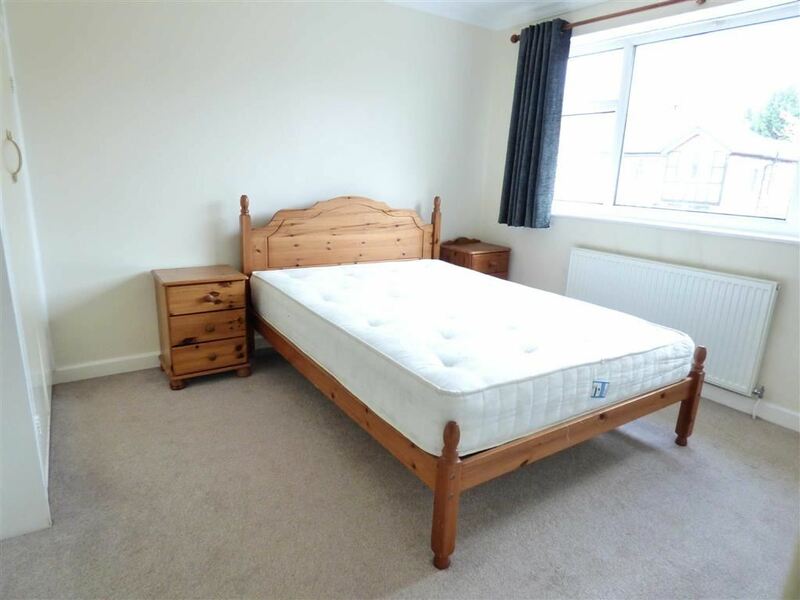 A second double bedroom with Upvc double glazed window, radiator, fitted wardrobes, beige carpet and neat neutral decor. 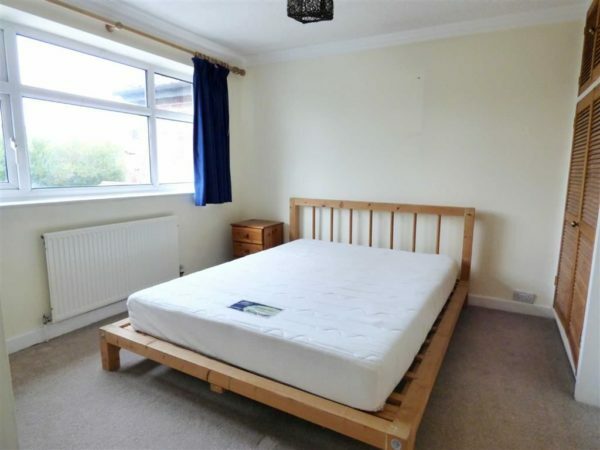 A third bedroom, with front aspect Upvc double glazed window, radiator and neat neutral carpet and decor. 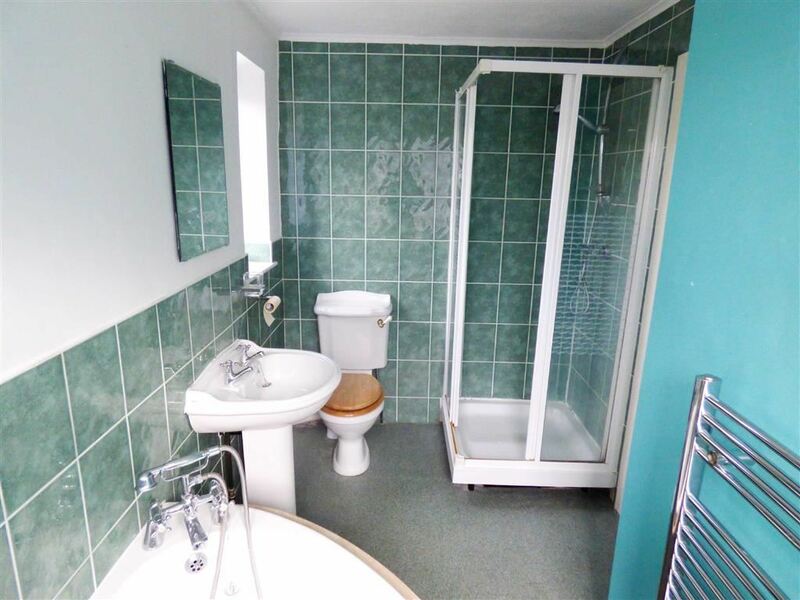 A large four-piece, tiled family bathroom. 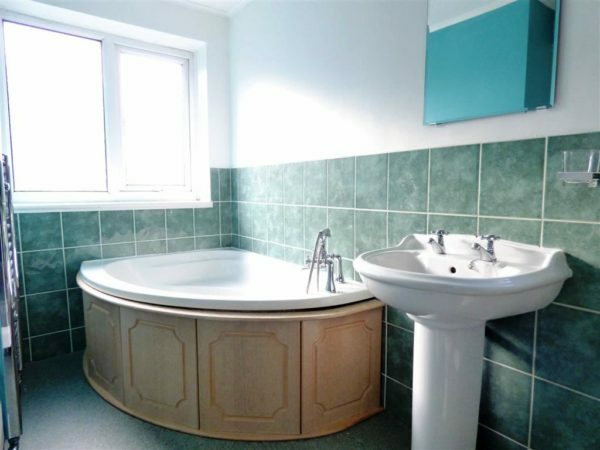 Featuring a corner bath, shower cubicle, low level W.C, and pedestal wash hand basin. 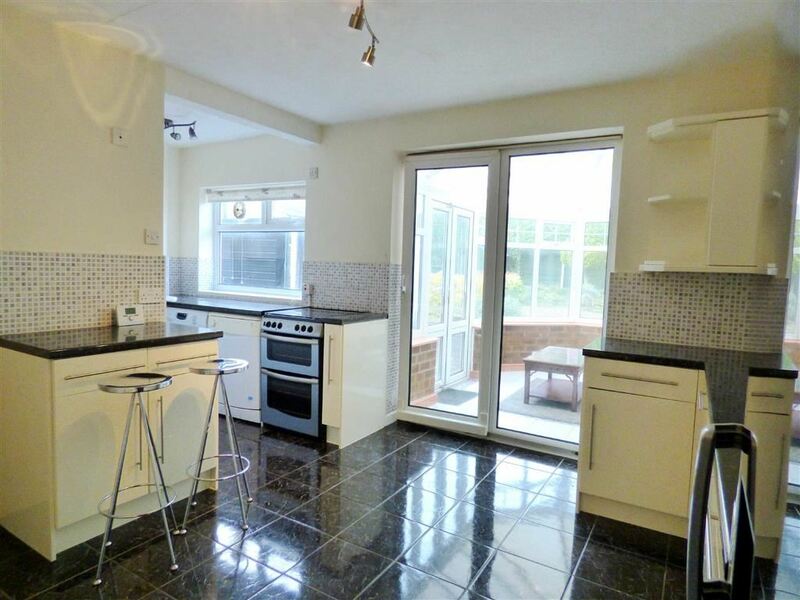 With frosted, Upvc double glazed windows both side and rear, stainless steel towel radiator and light grey linoleum flooring. 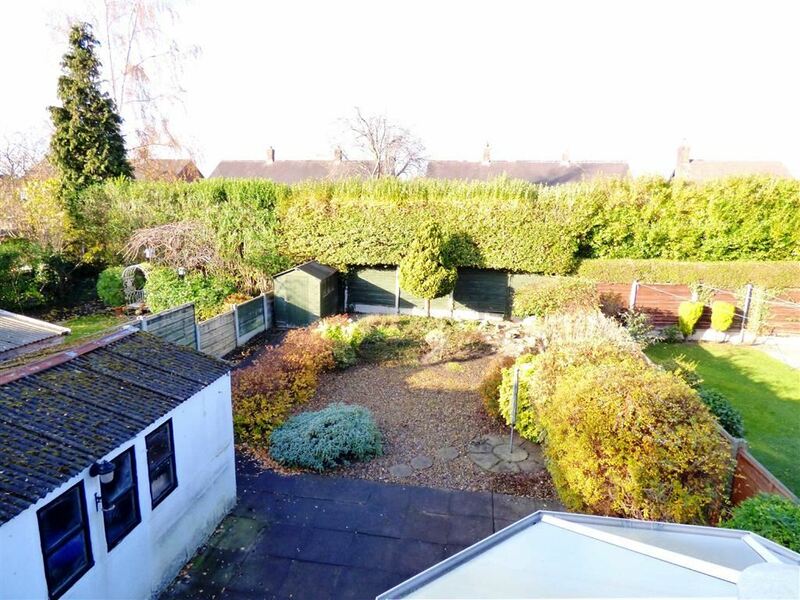 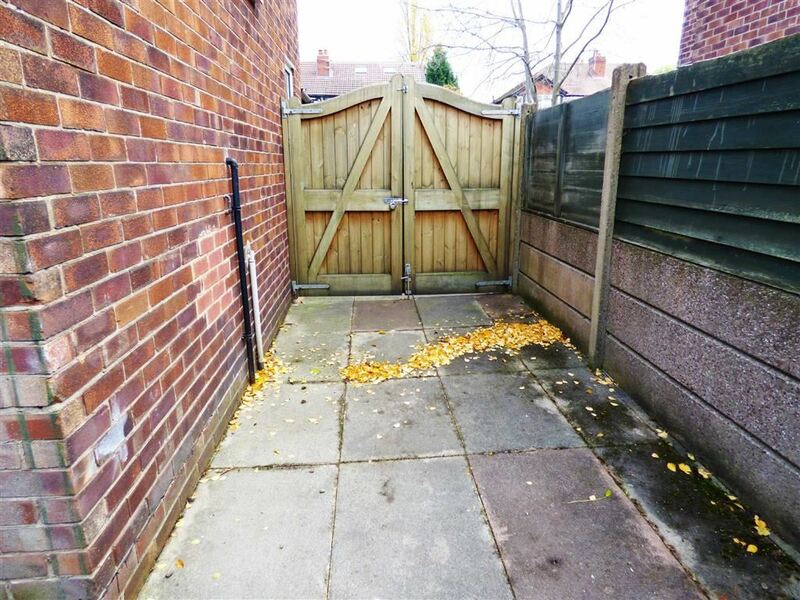 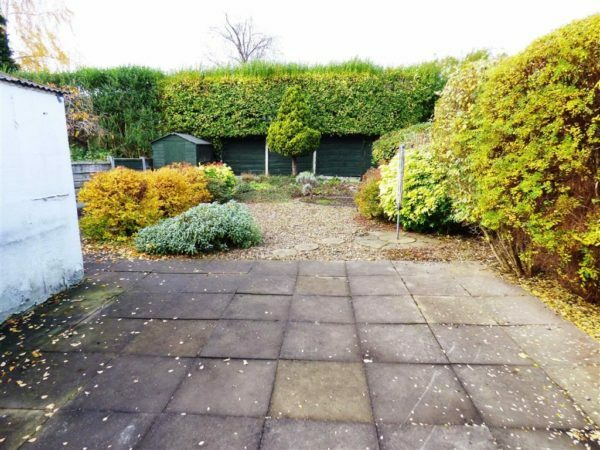 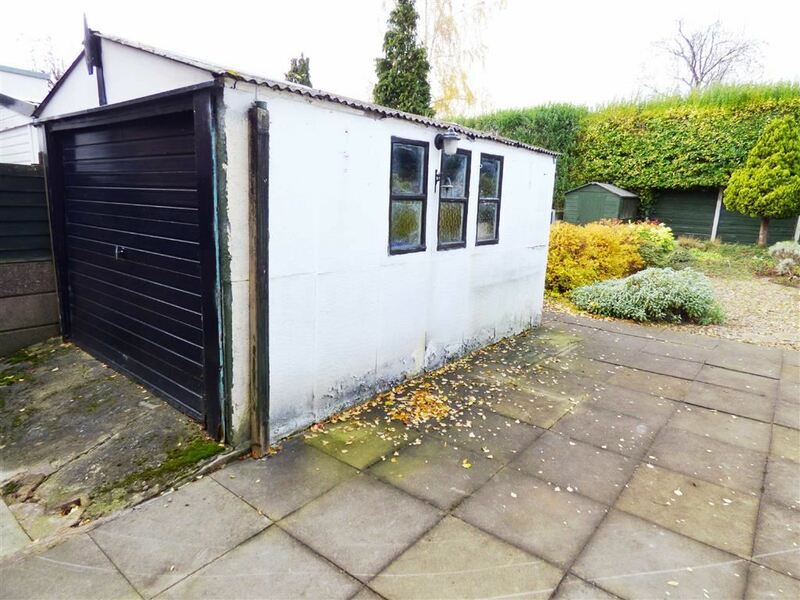 A spacious single garage, in good condition, with access via the side of the property and double wooden doors. Situated on this sought after residential cul-de-sac, close to West Didsbury village and Burton Road tram station. With large gardens front and rear and a paved driveway along the side of the property, to rear garage.